The Refined Geek » Microsoft’s Surface 2: A Big Hole To Fill. Microsoft’s Surface 2: A Big Hole To Fill. 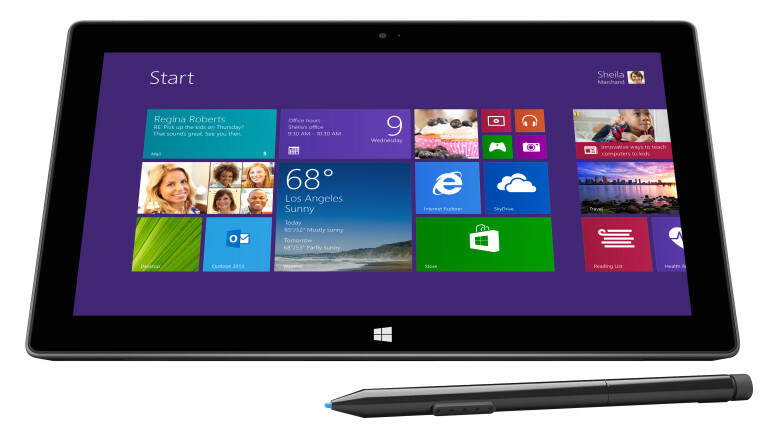 There’s no question that Microsoft’s attempt at the tablet market has been lacklustre. Whilst the hardware they have powering their tablets was decent the nascent Windows Store lacks the diversity of its competitors, something which made the RT version of it even less desirable. This has since resulted in Microsoft writing down $900 million in Surface RT and associated inventory something which many speculated would be the end of the Surface line. However it appears that Microsoft is more committed than ever to the Surface idea and recently announced the Surface 2, an evolutionary improvement over its predecessor. The new Surface 2 looks pretty much identical to predecessor although it’s a bit slimmer and is also a bit lighter. It retains the in built kick stand but it now has 2 positions instead of one something which I’m will be useful to some. The specifications under the hood have been significantly revamped for both versions of the tablet with the RT (although it’s no longer called that) version sporting a NVIDIA Tegra 4 and the Pro one of the new Haswell i5 chips. Microsoft will also now let you choose how much RAM you get in your Pro model, allowing you to cram up to 8GB in there. The Pro also gets the luxury of larger drive sizes, up to 512GB should you want it (although you’ll be forced to get the 8GB RAM model if you do). Overall I’d say this is pretty much what you’d expect from a generation 2 product and the Pro at least looks like it could be a decent laptop competitor. Of course the issues that led Microsoft to write down nearly a billion dollars worth of inventory (after attempting to peddle as much of it as they could to TechEd attendees) still exist today and the upgrade to Windows 8.1 won’t do much to solve this. Sure in the time between the initial Surface release and now there’s been a decent amount of applications developed for it but it still pales in comparison. I still think that the Metro interface is pretty decent on a touch screen but Microsoft will really have to do something outrageous to convince everyone that the Surface is worth buying otherwise it’s doomed to repeat its predecessor’s mistakes. The Pro on the other hand looks like it’d be a pretty great enterprise tablet thanks to its full x86 environment. I know I’d much rather have those in my environment than Android or iPads as they would be much harder to integrate into all the standard management tools. A Surface 2 Pro on the other hand would behave much like any other desktop allowing me to deliver the full experience to anyone who had one. Of course it’s then more of a replacement for a laptop than anything else but I do know a lot of users who would prefer a tablet device rather than the current fleet of laptops they’re given (even the ones who get ultrabooks). Whilst the Pro looks like a solid upgrade I can’t help but feel that the upgrade to the RT is almost unnecessary given the fact that most of the complaints levelled at it were nothing to do with its performance. Indeed not once have I found myself wanting for speed on my Surface RT, instead I’ve been wanting my favourite apps to come across so that I don’t have to use their web versions which, on Internet Explorer, typically aren’t great. Maybe the ecosystem is mature enough now to tempt some people across but honestly unless they already own one I can’t really see that happening, at least for the RT version. The Pro on the other hand could make some headway into Microsoft’s core enterprise market but even that might not be enough for the Surface division.